Under the definition for 'head-turner' has got to be an image of this jacket . . . Please scroll down for images of The Joe Gideon Jacket modeled and in greater detail. We invite you to visit the link directly below, as well. Inspired by: All That Jazz (1979). 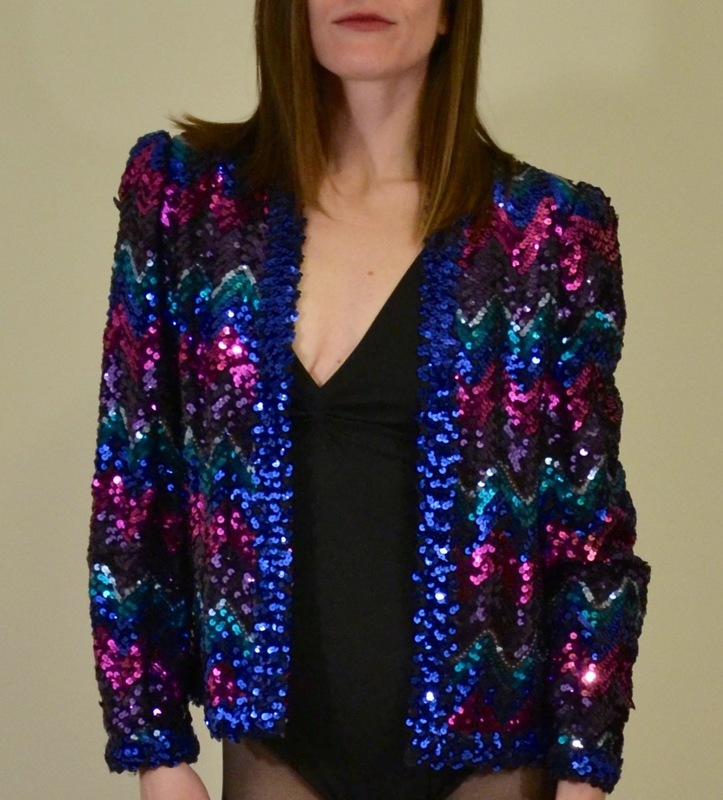 Colors: Black base and linings with royal blue, eggplant, hot pink, teal, and slate blue sequin. Closure: No closure, open jacket. Label: Lilli Diamond of California. Three strands on the upper left shoulder, and one on the upper right, are somewhat loose, though very much in place. This can be seen when worn. 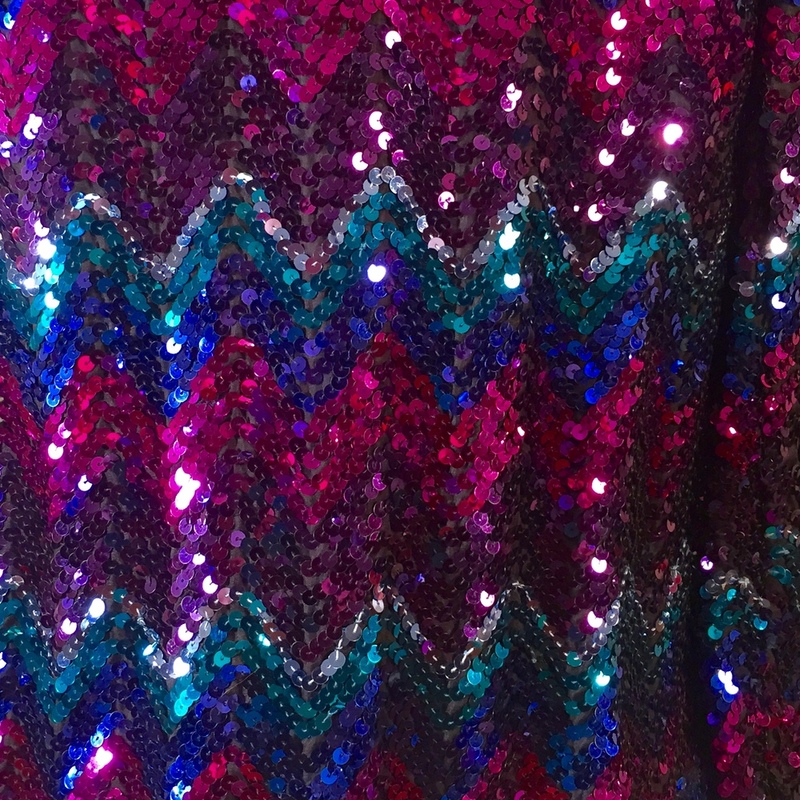 Other than those four strands, the sequin is in fantastic shape. 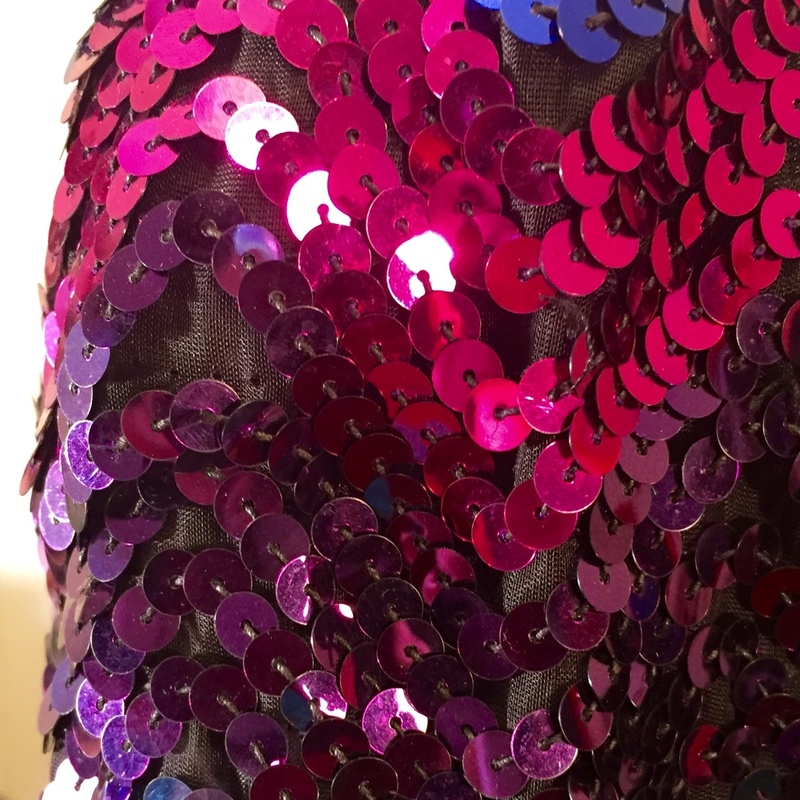 Minor flaw in sequin strand on right arm. Minor flaw in sequin stitching on left arm. Label, inside center of collar.